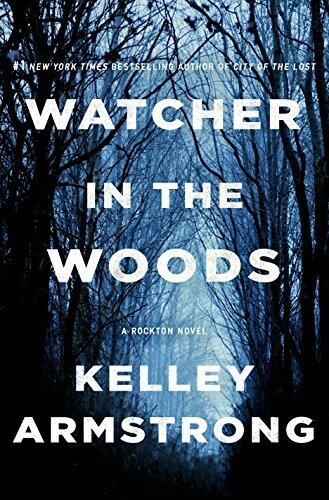 Watcher in the Woods, the latest novel in the Rockton series by Kelley Armstrong is in bookstores now. The secret town of Rockton has seen some rocky times lately; understandable considering its mix of criminals and victims fleeing society for refuge within its Yukon borders. Casey Duncan, the town's only detective on a police force of three, has already faced murder, arson and falling in love in less than the year that she's lived there. Yet even she didn't think it would be possible for an outsider to find and cause trouble in the town she's come to call home. When a US Marshal shows up in town demanding the release of one of the residents, Casey and her boyfriend, Sheriff Dalton, are skeptical. But then, only hours later, the marshal is shot dead and the only visible suspects are the townspeople and her estranged sister, in town for just the weekend. It's up to Casey to figure out who murdered the marshal, and why they would kill to keep him quiet. 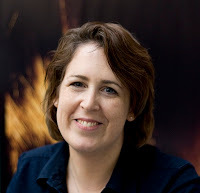 Kelley's principal publishers are Penguin Random House / Doubleday in Canada, St. Martins and HarperCollins in the U.S. and Doubleday and Little Brown in Britain. To date, she's published more than 32 books, most recently Portents, gothic tales for adults, Aftermath, a mystery-thriller for young adults, and coming in June, Wherever She Goes, a thriller for adults. Bitten, a TV series based on Kelley’s first 13 novels, ran for three seasons, 2014 – 2016. Kelley will be the guest speaker at a How to Write a Bestseller workshop, Saturday, March 2, in London, Ontario. Details here. See Brian Henry’s complete current schedule here, including Saturday writing workshops, weekly writing classes, and weekend retreats in Algonquin Park, Alliston, Bolton, Barrie, Brampton, Burlington, Caledon, Collingwood, Georgetown, Georgina, Guelph, Hamilton, Jackson’s Point, Kitchener-Waterloo, London, Midland, Mississauga, New Tecumseth, Oakville, Ottawa, Peterborough, St. Catharines, Sudbury, Toronto, Windsor, Woodstock, Halton, Muskoka, Peel, Simcoe, York Region, the GTA, Ontario and beyond. Lopamudra Creative, we do our best to create the perfect Advertising for your business and try to live up to our name of one of the Advertising agency in Gurgaon, India. An advertisement is known to be the key to a successful business. Lopamudra Creative, do best to create the perfect Branding agency for your business and try to live up to our name of one of the Creative branding agency in India. Lopamudra Creative is one of the top & best advertising agency in India, comparing from a list of advertising agencies in India. Lopamudra Creative is one of the top &Creative Branding Agency in India, comparing from a list of Creative Branding Agency in India. Lopamudra creative is the Best App design Company in India. Web development today is highly evolved and many developers who do not keep up to date knowledge of the recent trends, find themselves lost at some point. Lopamudra Creative is one of the top, a best creative branding agency in India, comparing from a list of branding agencies in India. Lopamudra Creative is one of the top & best advertising agency in India, comparing from a list of advertising agencies in India. Lopamudra is best on them.The Best Advertising Agency in India providing all types of Creative Advertising Works and Smart Branding Services. Lopamudra creative is Best advertising agency in India dedicated to finding solutions for clients through strategy and technology advertisement is known to be the key to a successful business.